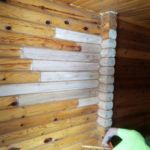 This winter near Baudette, Minnesota we worked with a homeowner who was concerned about rot in their log home. 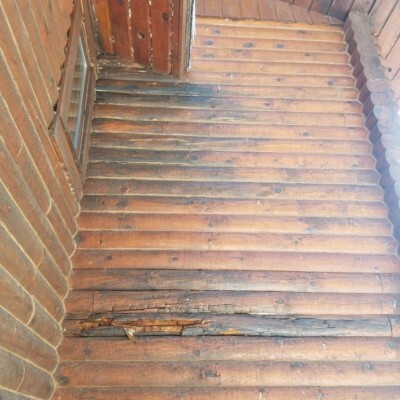 Lack of proper roof flashing and rain gutters was part of the cause of the rotted log damage across tall exterior walls and into the interior also. In this case we had to remove whole logs near the roof line because the log rot had penetrated all the way thru the wall. 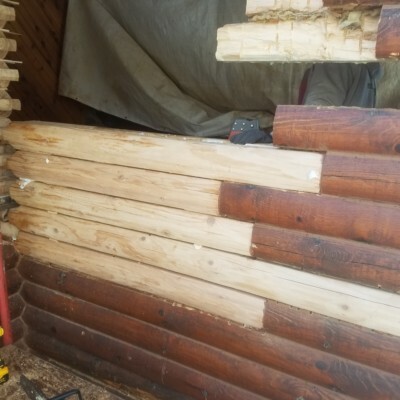 Repairing logs with cedar material is important because cedar is more rot resistant than other types of wood. 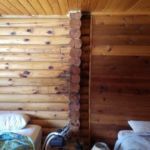 With whole logs replaced, stained, and fresh log chinking, the wall looks great and will last for years to come. 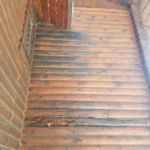 Rot is the most common issue we see with log buildings, due to issues with water flow, construction, and maintenance over time. We repair log cabins and homes all over the Wisconsin and Minnesota in all seasons. 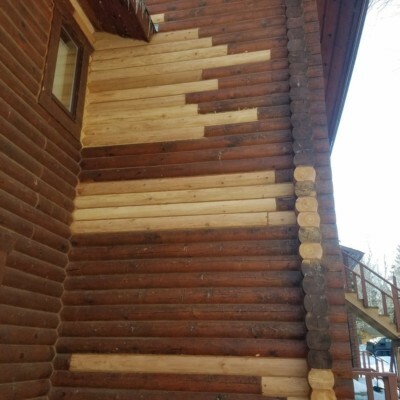 Contact us for an estimate on your log home repair project.